I know, I know, you’ve been bombarded with Valentine’s-themed content for days or weeks now. I get that. 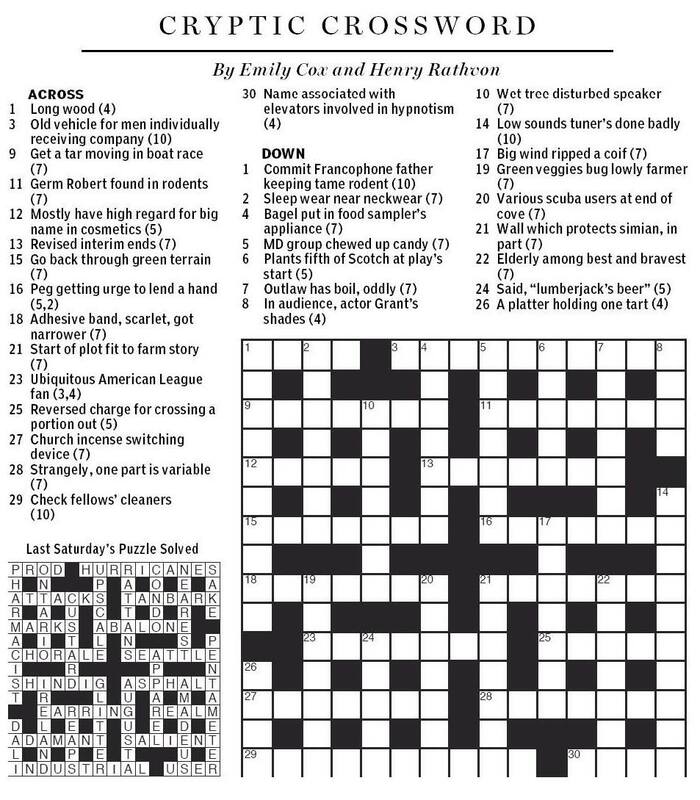 Sure, I could spend today’s post talking about examples of puzzly romance like romantic cryptic crossword clues. I could regale you with tales of marriage proposals cloaked in puzzly trappings. I could offer up some last-minute gift ideas. I could discuss romantic puzzle moments from television. But maybe you want a break. Maybe… you just want to read about puzzles. And whether you’re single or in a relationship, a fan of today or a detractor of Valentine’s Day trapping, there’s one thing we can all agree on. We love a good puzzle. So I cooked one up for you. Of course, I couldn’t ignore the holiday, so with Valentine’s Day in mind, it seemed appropriate to whip up a Partners puzzle for you to solve. Enjoy! 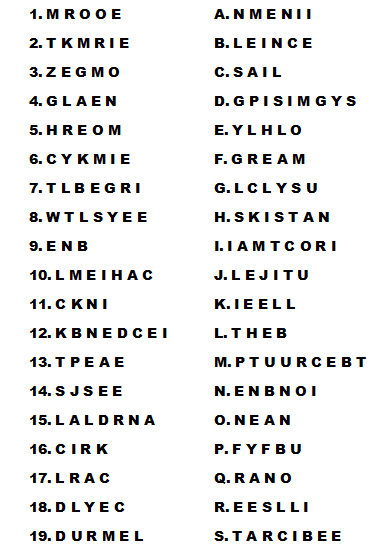 Can you unscramble and match these pairs from film, television, and literature? Why nineteen? Well, it’s 2019, and I couldn’t resist flouting the convention of nice round numbers by not coming up with a 20th entry. Heck, maybe I’ll make this a thing, avoid round numbers for a while longer, do a top 12 tead of a top 10. Just to keep this gag going. Oh, and I couldn’t include some of my favorite couples for logistical reasons (too many 3-letter anagrams would be blah) or obscurity, so shout-out to Han & Leia, Gemma & Leopold (FitzSimmons! ), Vastra & Jenny, and of course, both Jim & Pam and Tim & Dawn from The Office. Anyway, enjoy putting your anagram and matching skills to work! Let us know how you did in the comments below! 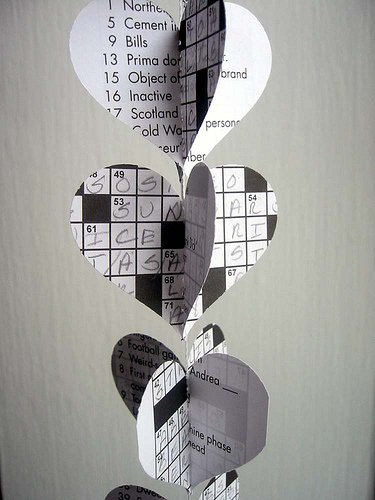 Last-Minute Puzzly Valentine’s Day Ideas! Valentine’s Day looms large, and sometimes it’s hard to find that perfect way to express your love for that certain someone… particularly if that certain someone is the puzzly type. But have no fear! 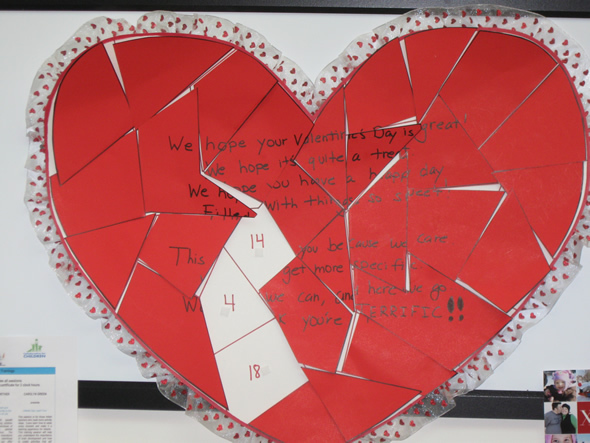 We’re here with some terrific last-minute puzzly ideas for Valentine’s Day! Or maybe they like coded puzzles? 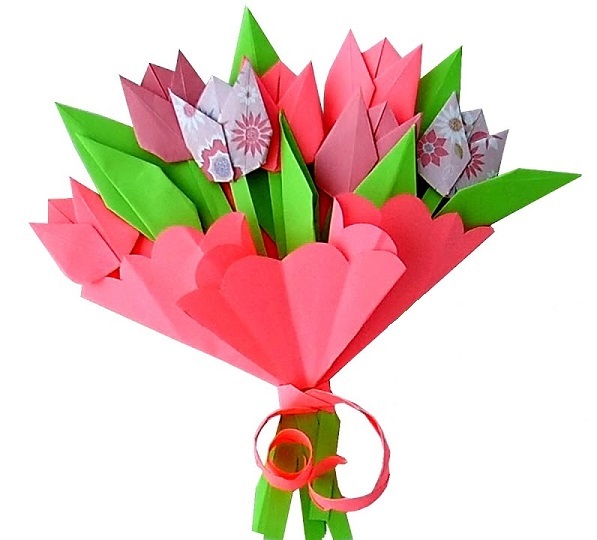 You could write the object of your affection a coded love letter! Or maybe you’d like to show off how much you know about him or her. Then you could whip up a little scavenger hunt! 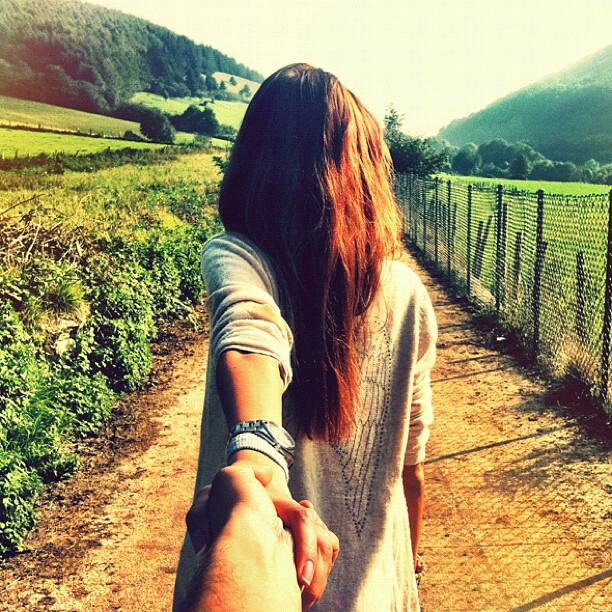 You could leave clues around leading to a gift, or a romantic dinner, or some other grand finale. Maybe a rose with each clue. For a family-friendly version of the same idea, have the kids help you cut out and hide jigsaw pieces around the house that, when put together, spell out a Valentine’s message, a picture of the family, or a picture of some gift or event to come! 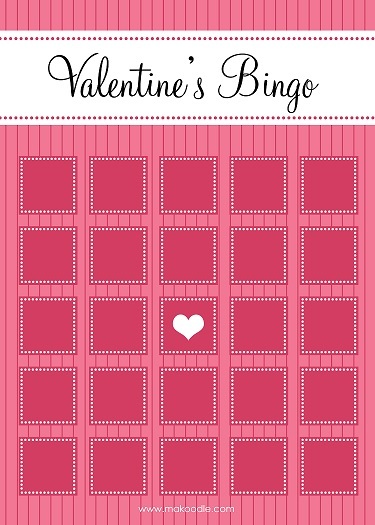 You could even walk around and play Valentine’s Day Bingo. Even on short notice, the possibilities are endless when you put your mind to it. Happy Valentine’s Day, fellow puzzlers! For our iPhone and iPad users, we just launched Deluxe Fun Set 1, a collection of 30 easy, medium, and hard puzzles to test your puzzly mettle, plus 5 bonus puzzles you can unlock! Not only that, but just in time for that most romantic of holidays, we’ve got our Valentine’s Day 2016 Deluxe Set! You get 30 easy, medium, and hard puzzles, plus 5 unlockable bonus puzzles with a Valentine’s theme! For our Android users, the Penny Dell Crosswords App now offers THREE full collections of crosswords. Each collection offers easy, medium, and hard puzzles for your enjoyment! And be sure to check out the in-app Puzzle Store for special discount offers! It’s a veritable puzzle bonanza!